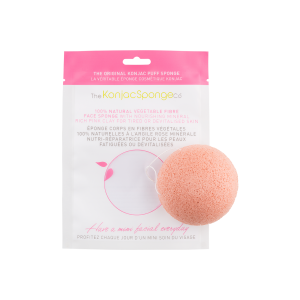 The Konjac Sponge Company produce multi-award winning Pure Konjac sponges with mineral extracts that deeply cleanse the skin for a radiant complexion. 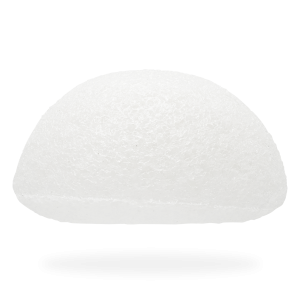 The Konjac Sponge Company’s original 100% pure 6 Wave Body Sponge is the natural alternative to your loofah or body puff. 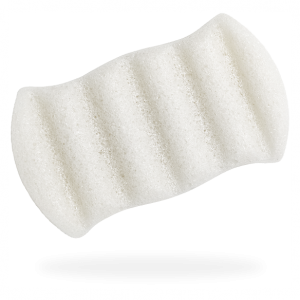 Made entirely of biodegradable Konjac plant fibre and spring water, this body sponge is kind to you and the environment. 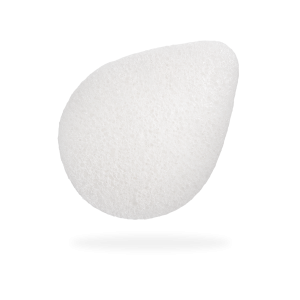 The 100% Pure Original Konjac Facial Sponge is an everyday skincare essential. 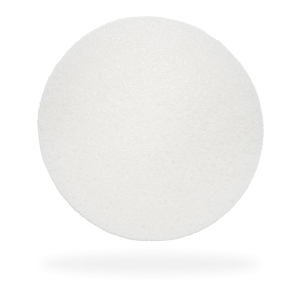 Suitable for all skin types, this vegan and cruelty free sponge is a natural mixture of Konjac vegetable fibre and spring water. Simply soak for a few moments until silky smooth to experience a deep yet gentle exfoliation and cleanse. 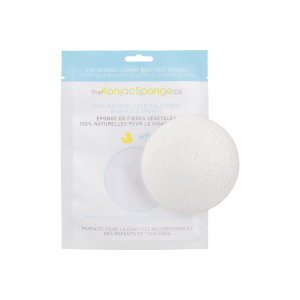 The super gentle Konjac Baby Bath Sponge is essential for baby bath times. Natural Konjac plant fibre and spring water have been combined to soothe and cleanse sensitive skin without causing any irritation. 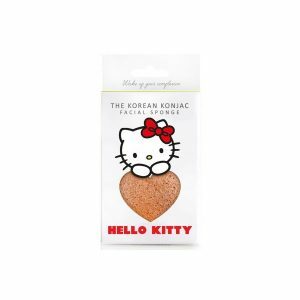 The extra gentle Konjac Baby Face Sponge is ideal for every delicate skin, from premature and newborns to toddlers and children. 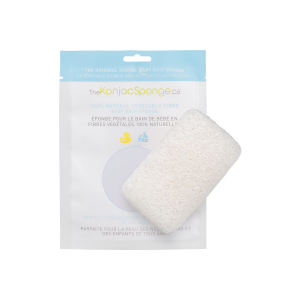 Natural Konjac plant fibre has been combined with spring water to soothe and cleanse your baby or child’s face with minimal effort and absolutely no additives. Who doesn't love Hello Kitty®? 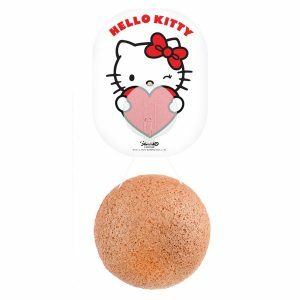 The package includes a full-sized Konjac Sponge with pink French clay and a Hello Kitty® official Sanrio® licensed detachable hook to store the sponge when not in use. 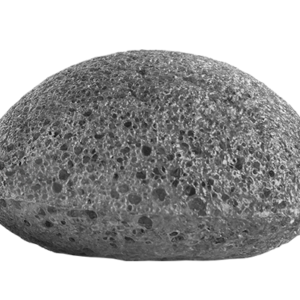 Packed with mineral-rich charcoal powder, our Konjac Sponge with Bamboo Charcoal cleanses deep into pores to eliminate blackheads and dirt whilst absorbing excess oils and toxins. A natural antioxidant, it kills stubborn acne-causing bacteria and is an effective treatment for spot-prone skin. 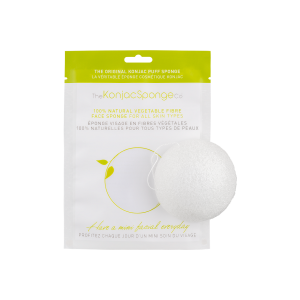 The perfect facial sponge for combination and oily t-zone skin: our Konjac Sponge with Green French Clay tightens pores, tones the complexion and revitalises damaged skin cells. 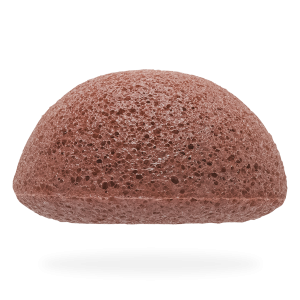 Blended with the finest French clay, the sponge naturally draws out impurities and toxins to reveal a smoother, fresher complexion. 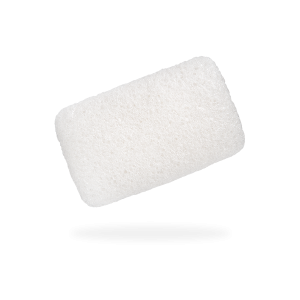 This sponge is essential for those suffering from the weather extremes of air conditioning, excess sun exposure and central heating. Natural pink French clay gently purifies even the most sensitive skin and has a softening and plumping effect, improving elasticity and refreshing your skin’s appearance. 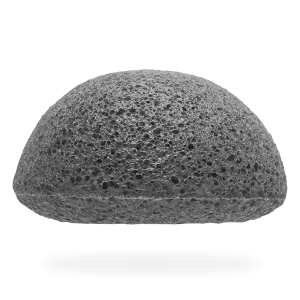 Rejuvenate and refine your skin with this cleansing Konjac Sponge. 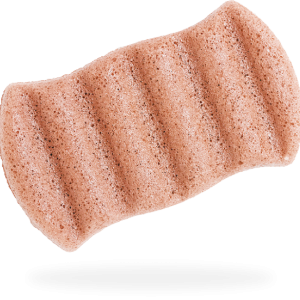 Laced with red French clay, the sponge helps to brighten dull complexions whilst reducing redness and uneven skin tone. This is a great addition to your skincare routine if you suffer with rosacea or psoriasis, as red clay softens and relieves irritation. 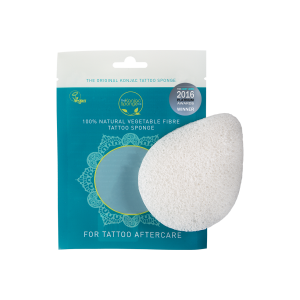 With the Konjac Tattoo Sponge you can gently cleanse your newly tattooed area without causing any irritation or damaging your new masterpiece. 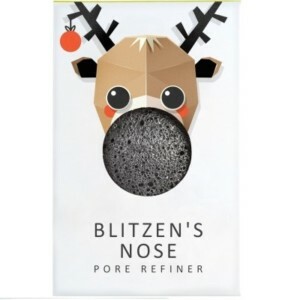 Back by popular demand, The Konjac Sponge Co Mini Pore Refiner Blitzen's Nose with Bamboo Charcoal is once again a part of our festive mini collection and he’s had a makeover! His soot grey nose is a mixture of pure Konjac plant fibre and bamboo charcoal.